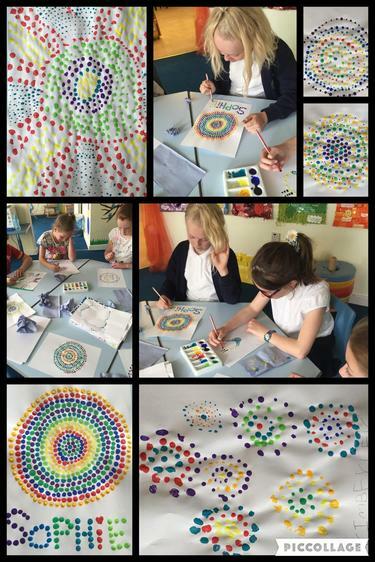 In Arts & Crafts club the children have the opportunity to use a variety of materials to create 2d and 3d pieces of art work from painting, to collage, sewing and sketching. The children will have free choice activities and structured opportunities throughout the sessions. Based on our Aboriginal art work from last year, we took these techniques and put our own unique, modern designs together.